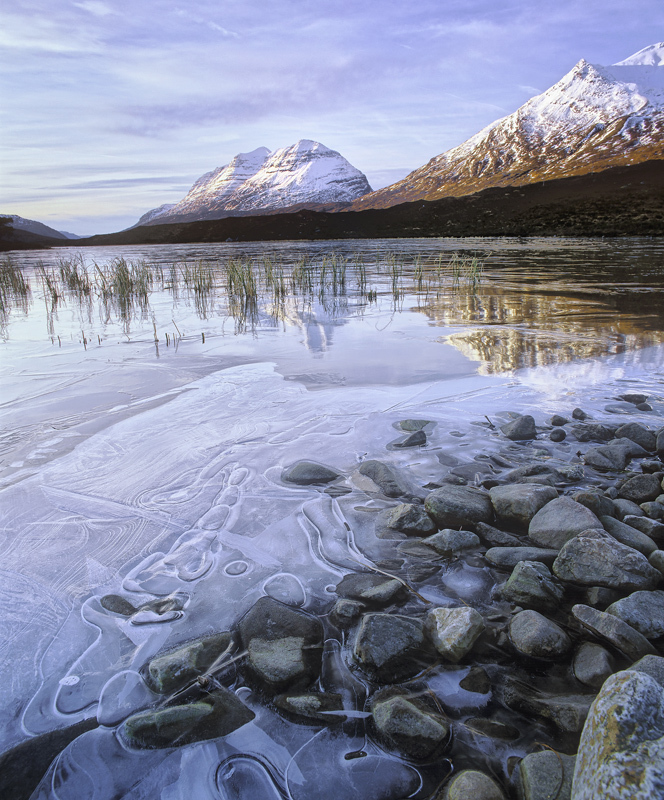 A week ago I had perfect winter weather and I was out every day in some of my favourite locations having the time of my life capturing some magical cold weather conditions like this gorgeous fractured ice plate complete with trapped and frozen water ice bubbles with gorgeous snow capped Liathach reflected in the ice sheet. A week later I am confronted with a 17 degrees Celcius change in temperature in a matter of 24 hours and a staggering amount of rain falling in endless torrents the length and breadth of the British Isles. Heart breaking stuff seeing that unblemished white mountain cap back to base rock almost all the way to the summits of our lovely scottish peaks. A change is nigh thank goodness.